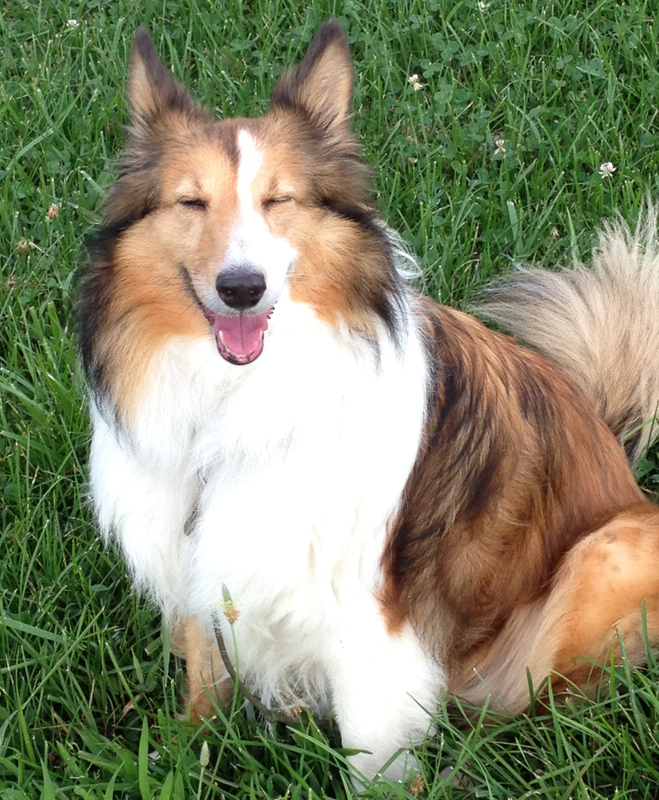 This entry was posted in Dogs!, Home page, Training and tagged Dogs, New Year's Resolutions, Ozark Summer Highlands Sasha, Shelties, Training. Bookmark the permalink. Yes that is one of her happyfaces. Others, I suspect, are when she’s lounging against her human, and when supper reliably appears each day. I am so happy for you both. Love sheltie zoomies. I’m so fortunate to share my life with happy critters! Both Sasha (who wakes up smiling) and Buddy the Wonder Cat keep me laughing through the days. She is looking wonderful. And yes! Thanks, Jeanie! She’s certainly come a long way. I enjoy reading dog blogs, so I’m glad I found you today through Susan Toy’s Island Editions blog. Thanks for dropping by, Kristina! Susan Toy’s blog (https://islandeditions.wordpress.com/) includes a wide-ranging collection of authors and books. I featured Susan and her work, as well as that of her artist friend Anna Landry here at dogmysteries.com. You can find two of those posts here: https://dogmysteries.com/2015/07/28/straight-to-the-heart/ and https://dogmysteries.com/2015/11/18/for-the-love-of-island-dogs-2/. I hope you enjoy both the stories and the artwork!